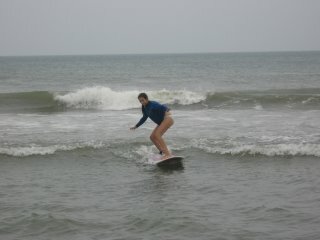 Bill's OBX Beach Life: Lauren's Catching Waves! My wife, Lauren has been working on catching waves this summer with her new Isle Girl longboard. She is getting there, with some rides in the whitewater. 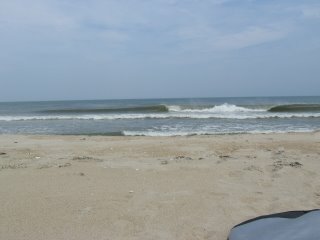 Soon, it will be time to graduate to the outside bar for catching the swell as the wave forms. 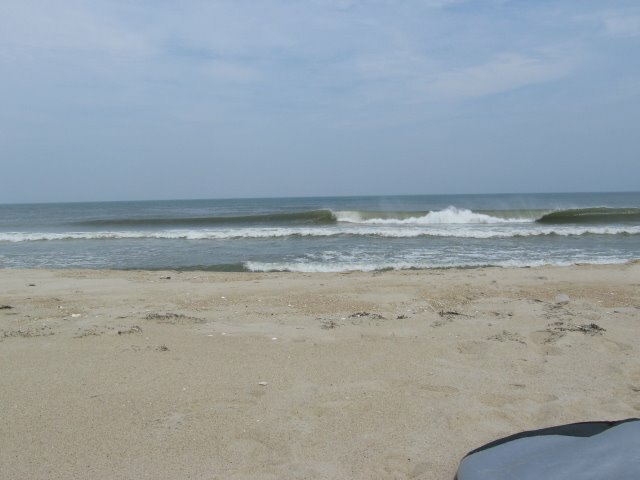 Last night, her and I had a fun session in south Nags Head with clean waist to chest high sets. The bar was quite shallow, so she was careful when catching rides; however, we did an outside paddle north to Jennette's Pier and along the way, I found some fun outside surf to ride. The water was crystal clear and you could see bottom easily. Low 70s for water temps made for a perfect way to end the day! Super cool blog, how about a map with some of the ocean side widsurfing spots, so far I only know ego beach, but it sounds like there is so much more. Yes, there are a number of great ocean side spots. In future posts, I will likely hit most of them, as we sail the best spots for a given wind direction and wave setup. This year, Boiler has been suprisingly good, though in the past we have not sailed there too often. Stay tuned for more reports and photos to come! What's Up with Hatteras Windsurfing Skill? Perhaps Friday... A Little of This?